After two years at The Circle on Rockingham Lane we are moving out of our Sheffield city centre office. 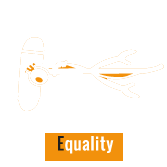 E.D.E.N will continue to operate as before and we look forward to continuing our film projects and educational work around equality and diversity. We want to take this opportunity to thank The Circle for the great support in helping us host projects such as E.D.E.N Action!, Trashing Transphobia and E.D.E.N Shorts. To find out about our current projects head to edenfilm.co.uk and for a taster of what we do check out the behind the scenes video from E.D.E.N Shorts here. 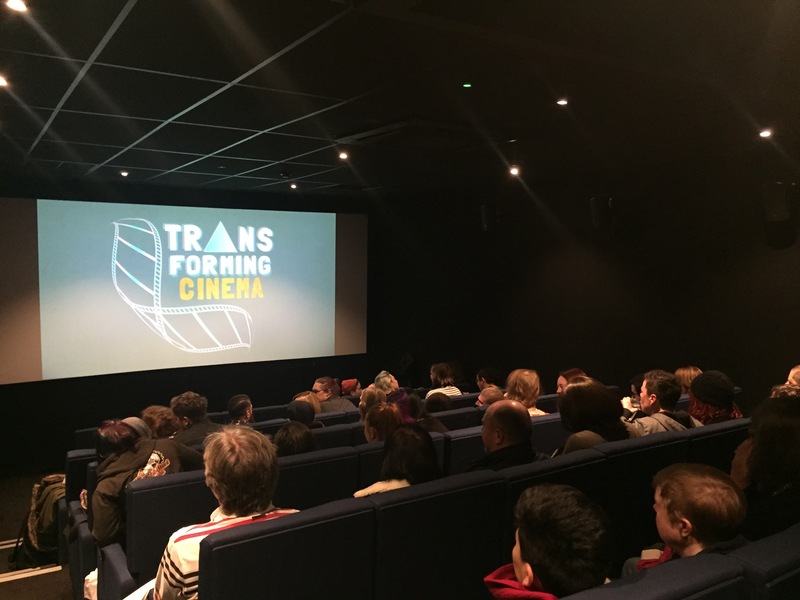 In November 2016 we hosted the inaugural transgender film festival Transforming Cinema – watch our video about it here. The video provides dementia specific safe from fire information including how to get a free home safety check. Nationally it is recognised that Dementia is known to be a major factor involved in accidental house fires and fire related injuries and deaths. South Yorkshire Dementia Action Alliances (SYDAA) is an umbrella structure bringing together the four local Dementia Action Alliances (Barnsley, Doncaster, Rotherham and Sheffield) and South Yorkshire Fire & Rescue (SYFR) to work in partnership and deliver the Dementia Fire & Home Safety Project. · Enable people to live well with dementia safely in their own home for as long as possible. The video is aimed at families, friends, carers of people living with dementia and organisations that work with anyone living with dementia. 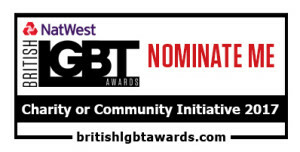 Nominated for British LGBT Awards! We have been nominated for a British LGBT Awards for Charity or Community Initiative category! First Transforming Cinema film festival proves a great success + Fox Fisher’s exclusive E.D.E.N Shorts video online now! 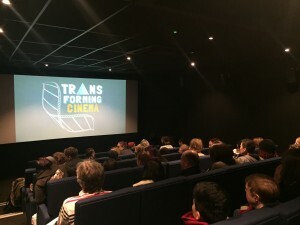 Last weekend filmmakers, speakers and artists from across Europe and the UK came to Sheffield to celebrate Transforming Cinema, Sheffield’s first film festival focused on transgender and non-binary films and storytelling. On Saturday 19 November, Transforming Cinema kicked off with the sold-out premiere of four films made during E.D.E.N Film Productions’ own filmmaking project “E.D.E.N Shorts”. Made by the local LGBT community and mentored by E.D.E.N, these films have since gone on to be screened at various events across the country and the brilliant behind the scenes video, telling the story of our participants’ journey with E.D.E.N, is available online now. 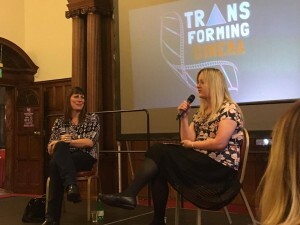 Transforming Cinema saw a spectacular lineup of prominent speakers take to Sheffield City Hall to share their views and expertise on filmmaking and media representation. YouTuber and BBC Social personality Kate Adair opened the Saturday sessions with her best tips for social media and YouTube (including misspelling your tags! ), Trans Media Watch talked about the progress trans representation has made in the media whilst films such as Tomboy and Major! screened at the Void Cinema and The Test Shot showcased their exhibition on trans masculinities at the ODEON Cinema. For the afternoon session E.D.E.N was thrilled to welcome BBC2’s Boy Meet Girls star Rebecca Root who, in conversation with YouTube personality and chat show host Sarah O’Connell, shared her tips and experiences on success and getting started as an actor. The final session included a well-received panel on the Future of Trans Representation On Screen. Chaired by Kate Adair, it featured The Guardian’s Freddy McConnell, award-winning director and activist CampbellX, entrepreneur and filmmaker Romario Wanliss and Sarah O’Connell. “We could have continued discussing all evening,” said Kate Adair. Saturday was rounded off with an after party at the Viper Rooms with plenty of celebration and networking. A Transforming Cinema cocktail went down very well too! The events on Sunday started with a very well attended screening of Best Film-winner Real Boy at the Showroom Cinema and the day continued with films screening at The Void cinema at Sheffield Hallam University. Here we were also treated to a hugely insightful talk from YouTuber and comedian Amanda Parnell. The workshops and talks concluded with a session featuring award winning filmmaker Jake Graf in conversation with Sarah O’Connell, who asked him about his successful filmmaking career and the time spent working on The Danish Girl. As a final point on the Transforming Cinema programme, the awards ceremony took place at the Curzon Cinema. Rounding off the festival E.D.E.N co-organised a Transgender Day of Remembrance vigil at Hallam Square. Here we heard many a touching speech, several of whom referenced the importance of Transforming Cinema film festival and it was evident that everyone at E.D.E.N felt very moved. PICTURE: Sarah O’Connell, Freddy McConnell, Kate Adair, Romario Wanliss, CampbellX, Rebecca Root, Bella Qvist and Claire Watkinson. LAST BUT NOT LEAST: Award-winning filmmaker, activist and Transforming Cinema judge Fox Fisher’s created a film during their E.D.E.N Shorts workshop and it premiered at Transforming Cinema – you can watch it here! E.D.E.N Film Productions presents TRANSFORMING CINEMA – a film festival celebrating trans cinema. INTERNATIONAL FILMS, SPEAKERS & WORKSHOPS, the PREMIERE SCREENING OF E.D.E.N SHORTS’ FILMS as well as ONE BIG AFTER PARTY! 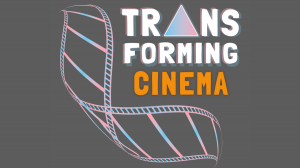 Transforming Cinema is a film festival championing transgender, gender nonconforming, non binary and genderqueer voices. Putting trans stories at the centre stage, this two day festival taking place across Sheffield city centre, will challenge mainstream media’s lack of representation, showcasing trans, non binary and gender variant films and art. Featuring international films, expert speakers and engaging workshops as well as a range of creative projects and collaborations, Transforming Cinema welcomes one and all to come along and celebrate trans cinema. 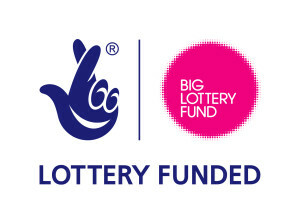 …with more to be announced soon. My Genderation star, artist, trans activist and filmmaker Fox Fisher is coming to Sheffield to teach a filmmaking masterclass as well as launch our new project E.D.E.N Shorts project – and we are very excited! We are very proud and happy to announce that our new project E.D.E.N Shorts, which will see members of the LGBT+ community create four short films telling transgender stories, is launching today with a masterclass by filmmaker, artist and trans activist Fox Fisher. Fox, who appeared on Channel 4’s My Transsexual Summer, who co-founded video project My Genderation, who co-created Brighton Trans Pride and has appeared in a number of shows and projects, is coming to Sheffield to give us an insight into their filmmaking magic. 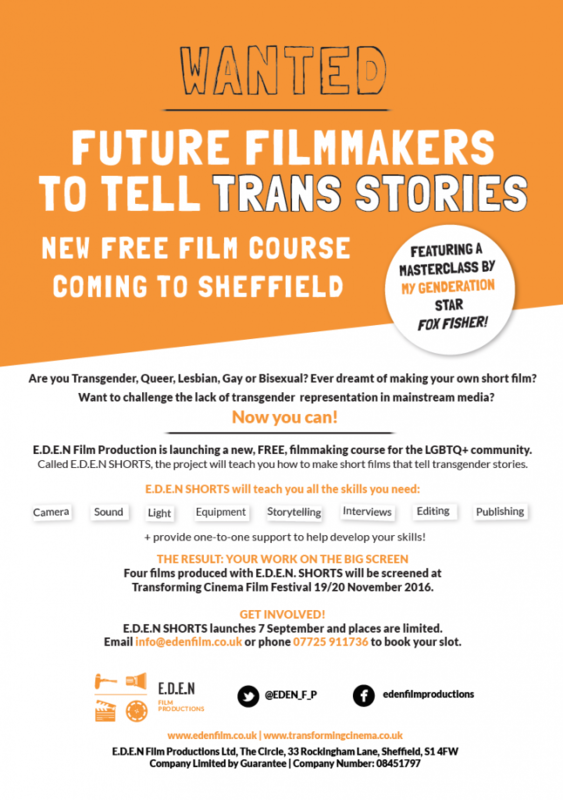 The session will kick off a two month project seeing members of the LGBT community learn film skills and then go out to make their own short films, all of which will premiere at the inaugural Transforming Cinema film festival coming to Sheffield in November. What the films will be about is yet to be decided but the main criteria is that they cover transgender or gender nonconforming topics on one way or another. 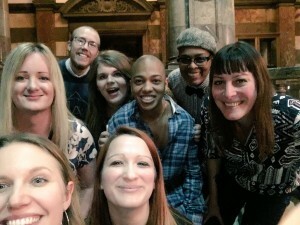 “We don’t know the topics of the films just yet as those will be pitched and chosen by the participants over the next week but we are very excited to hear and help tell these transgender and nonbinary stories waiting to be told,” said Claire Watkinson, Founder and MD of E.D.E.N Film Productions. 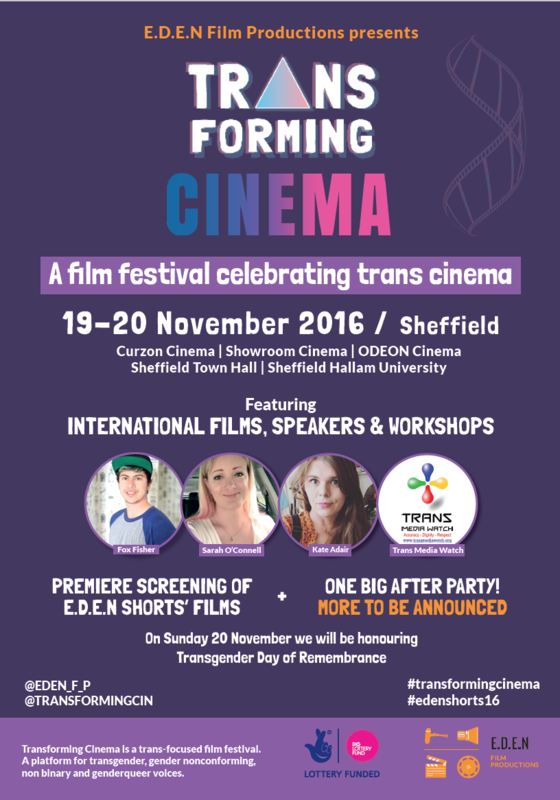 The films made as part of E.D.E.N Shorts will be premiered at the Transforming Cinema, a trans focused film festival coming to Sheffield 19-20 November. You can read more about it here. 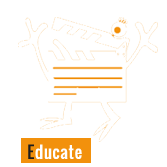 If you are not signed up to E.D.E.N Shorts but still want to submit a film to the festival then you can. 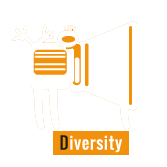 Transforming Cinema accepts narrative, documentary, experimental and animated films as long as they in some way discuss or explore transgender/non binary/gender non-conforming/intersex/genderqueer themes. We have extended the deadline until the 30th of September and welcome any questions you may have. 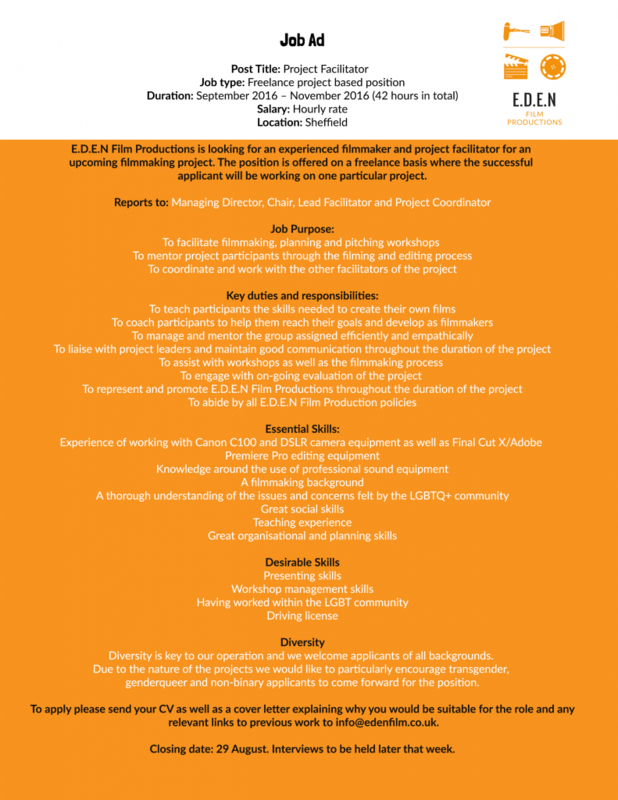 We are recruiting for the E.D.E.N Shorts project, please read below more details about the role advertised and how to apply. Good luck! 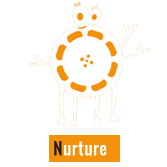 Introducing our new filmmaking training project! Interested? Please get in touch.